Cover of A Tale of Two Japans. And Japan, I thought, I shall go back to Japan. So begins Audrey’s book. Since leaving the country of her birth, as war approached in 1941, Audrey has never let the faint memories of her childhood fade. 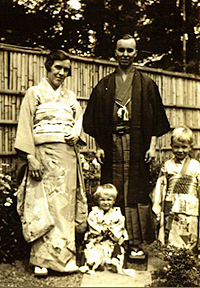 Author of A Tale of Two Japans: Ten Years to Pearl Harbor and a long-time supporter of the Sainsbury Institute, she has woven together a story from her memories, along with a wealth of letters, reports and diaries of her family and friends, to revisit the Japan she so loved. Yet her family’s time in the country was during one of the darkest periods in Japanese history, from its invasion of Manchuria in 1931 to the attack on Pearl Harbor in 1941. 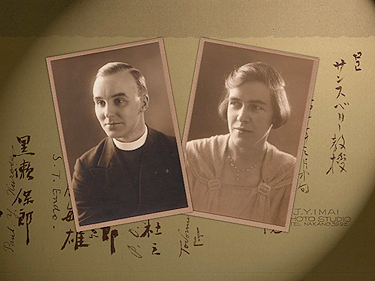 Audrey was born in Japan in 1936 to an English theologian and his wife, and her family were among the few westerners who witnessed Japan change from a peaceful nation to an ambitious militaristic one that would bring destruction on its enemies and on itself. While Japan was becoming a threatening force of global concern, the country was still home to the Sansburys, and they had many kind friends, some of whom felt like their extended family. At last they were forced to leave the country in May 1941 on the Hie Maru, the last Japanese ship to cross the Pacific before the outbreak of war, to start a new life in Canada. Audrey celebrated her fifth birthday aboard the ship. Kenneth Sansbury and his wife. Their first house in Japan in the village of Numazu. It is this sense of loss that frames the book, as Audrey reflects on what it was like to live in Japan during a very turbulent time through the experience of her parents, who always loved this island nation. Her parents first set sail for Japan on the SS Naldera in April 1932 and settled initially in Numazu in Shizuoka prefecture. The narrative gives a picture of what daily life was like in 1930s seaside town, from earthquakes and typhoons to the annual round of festivals, and what life was like in the summer resort of Karuizawa with western indulgences such as golf and tennis and delicacies like cheese. Despite the peaceful aspect of life, however, the undercurrent of military might clawing its way to the surface can be felt throughout. While the Sansbury’s time in Japan as a family ended in May 1941, Audrey’s journey continues today. Her book was published in England in 2010. Now it has been translated into Japanese by Professor Matsudaira Nobuhisa of Rikkyo University. 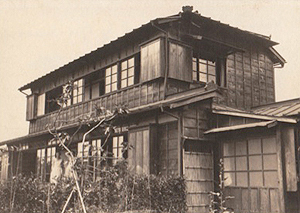 The Shingakuin, where her father taught, was once the university’s theological department, but was bombed in the war as was the Sansburys’ own house. Despite Audrey’s apprehension that her book would be difficult for Japanese readers, as relating to a sensitive period into her past, it has been welcomed by some as providing a rare glimpse into Japan’s immediate pre-war years. She is going to Japan again this year to visit places and meet people connected with the book, and will even meet a former student of her father’s who is now a hundred years old. For Audrey Japan will always remain her childhood home where her story continues to grow. 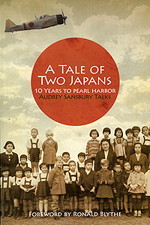 Audrey Sansbury Talks’ book A Tale of Two Japans is published by Book Guild Publishing. To purchase a copy (£8.99) please contact the Norwich Cathedral shop (01603 218323).